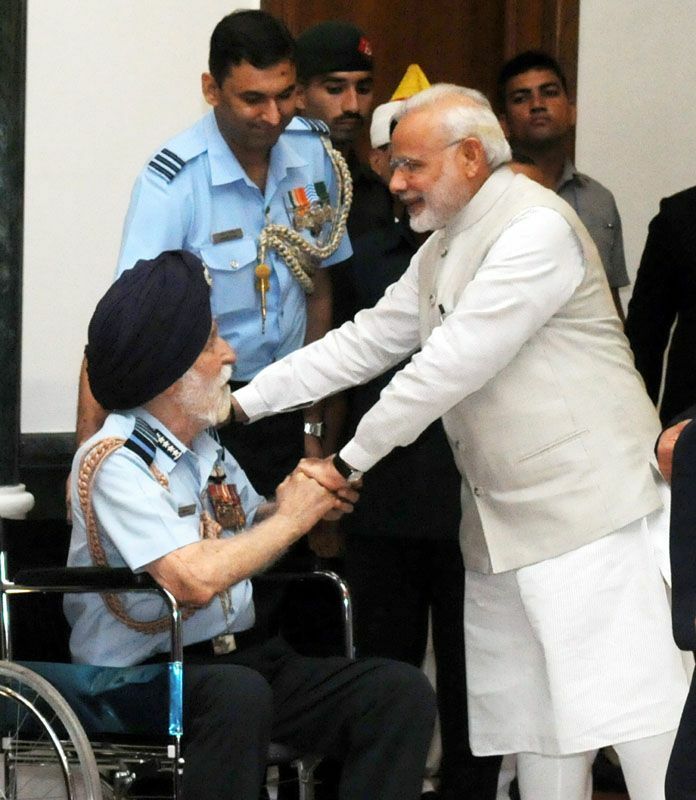 The Prime Minister Narendra Modi interacting with the Marshal of the Indian Air Force Arjan Singh at the 'At Home' function, organised on the occasion of 70th Independence Day, at Rashtrapati Bhavan, in New Delhi on August 15, 2016. 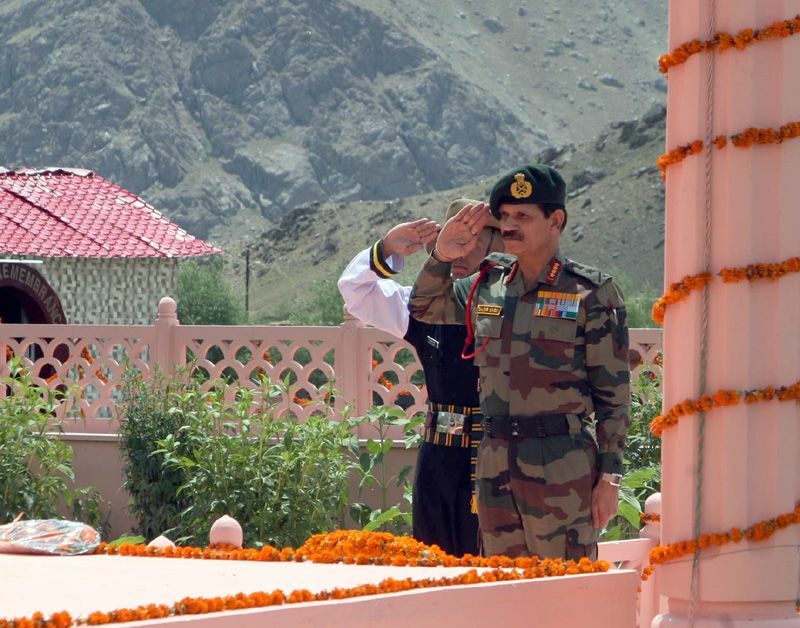 The Chief of Army Staff, General Dalbir Singh paying homage to the martyrs of OP VIJAY at the historic Kargil War Memorial, at Drass, Jammu and Kashmir on July 25, 2016. 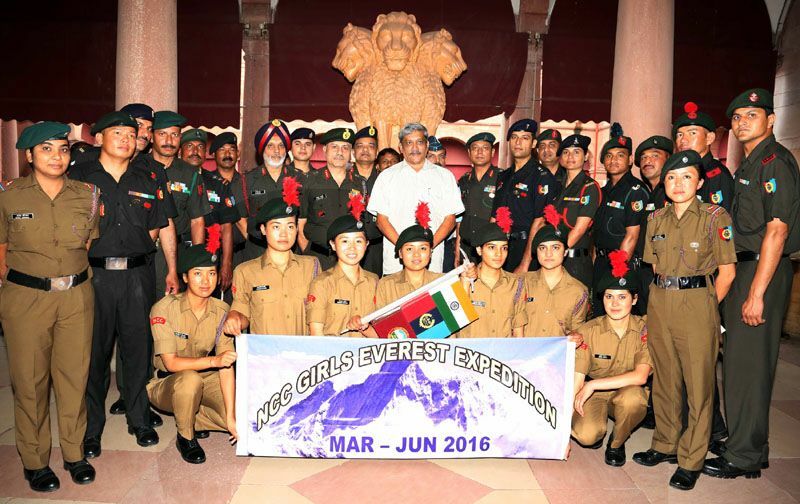 The Union Minister for Defence Manohar Parrikar along with the NCC girl cadets during the felicitation of the NCC Girls Mount Everest Expedition team, in New Delhi on June 14, 2016. The DG, NCC, Lt Gen A Chakravarty and senior officers and staff from HQ DG NCC are also seen. 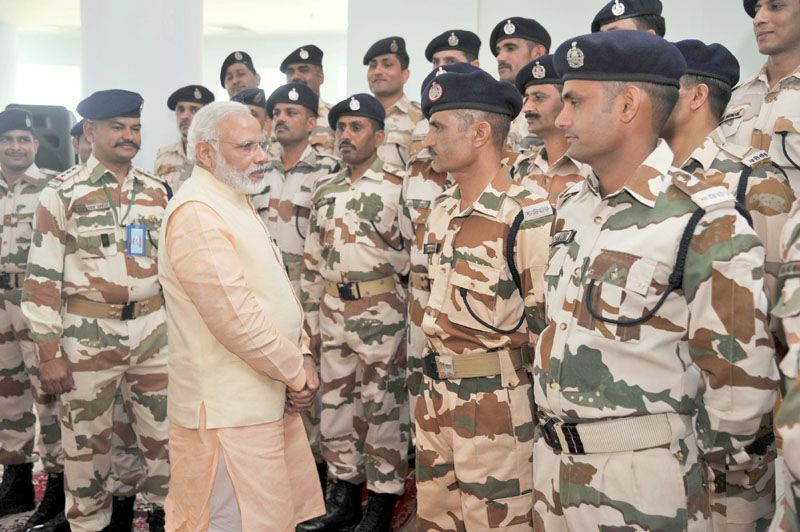 The Prime Minister Narendra Modi interacting with ITBP Jawans at Indian Consulate, in Herat, Afghanistan on June 04, 2016. 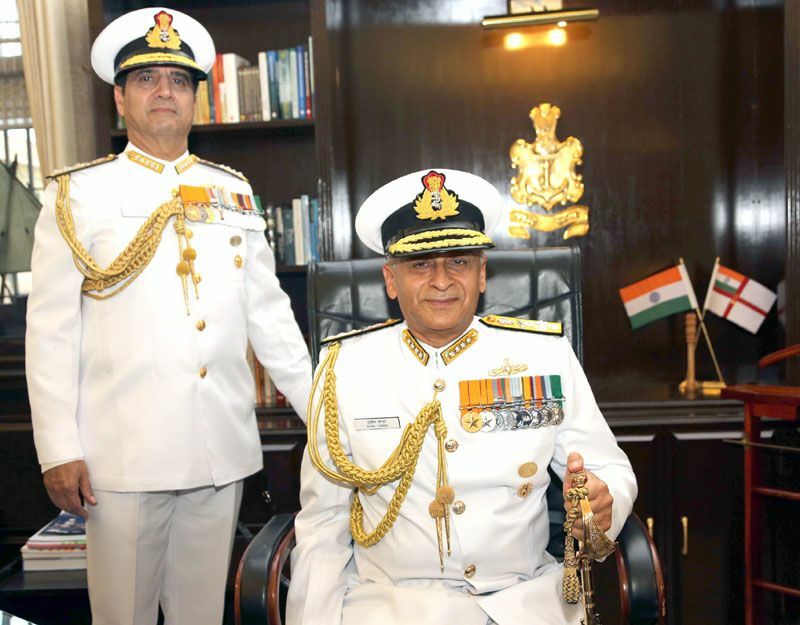 The Chief of Naval Staff, Admiral Sunil Lanba on assuming the command of the Indian Navy, in New Delhi on May 31, 2016. The outgoing Chief of Naval Staff, Admiral RK Dhowan is also seen. The President Pranab Mukherjee, the Vice President M Hamid Ansari, the Prime Minister Narendra Modi, the Union Minister for Defence Manohar Parrikar and other dignitaries at the Defence Investiture Ceremony–II, at Rashtrapati Bhawan, in New Delhi on May 07, 2016. 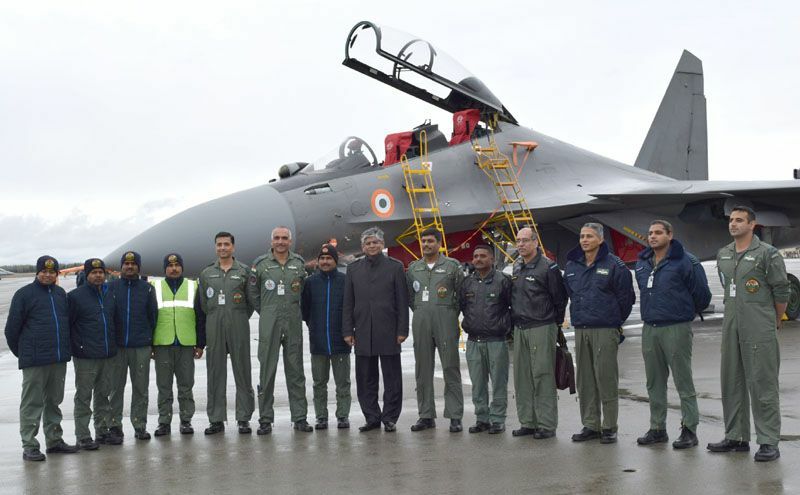 The Indian Ambassador to the United States, Mr. Arun Kumar Singh with the Indian Air Force contingent of Ex Red Flag 16-1, at Eielson Air Force Base Alaska, USA on May 04, 2016. 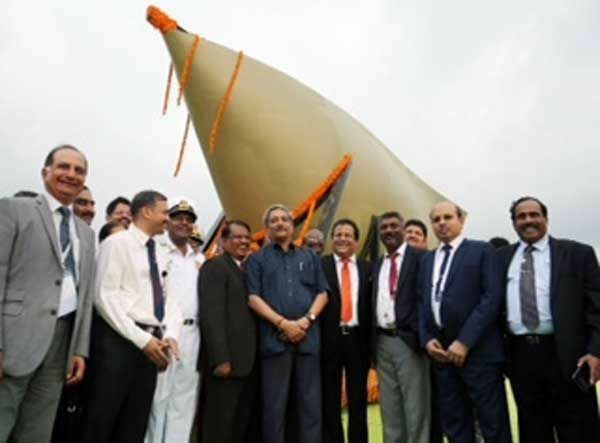 Raksha Mantri Manohar Parrikar flagged off India's first indigenously developed SONAR dome during the 9th Edition of Defexpo-2016 at Goa on Tuesday, March 29, 2016. 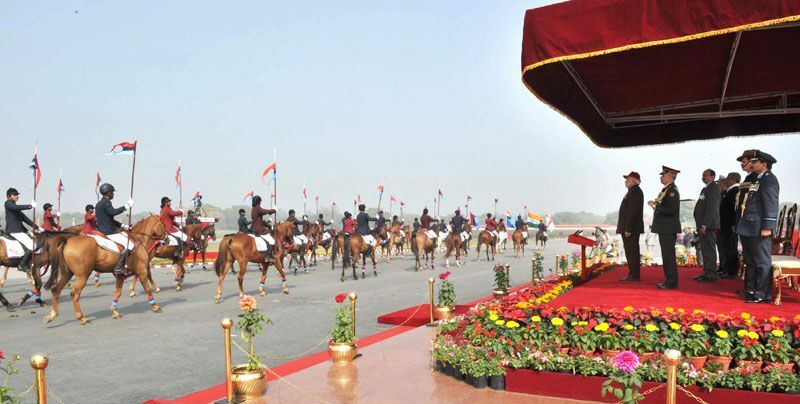 General Dalbir Singh, Chief of the Army Staff, on behalf of the HON’BLE PRESIDENT OF INDIA, Shri Pranab Mukherjee, presented the ‘Standard’ to 18 CAVALRY. It was a unique and proud moment for the Chief as he is also the Honorary Colonel of the Regiment and his father Risaldar Major Ramphal Singh (Retired) had served with distinction during both the Indo-Pak War of 1965 & 1971. 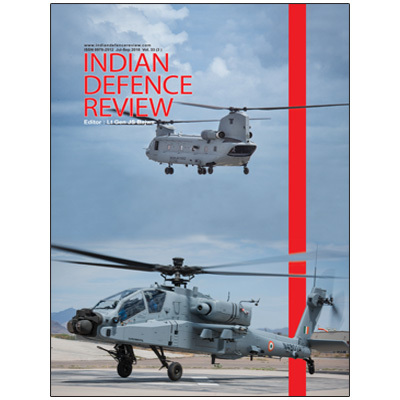 To commemorate this historic event, the Chief of the Army Staff also released a “Special Day Cover”. 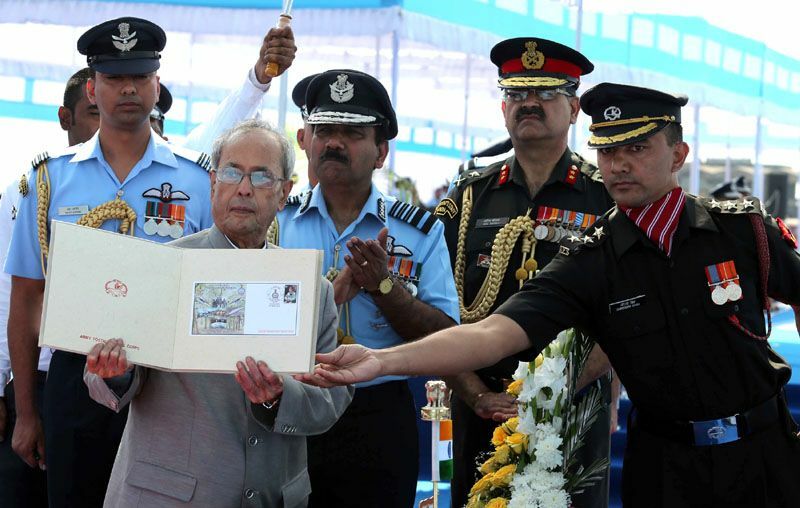 The President, Shri Pranab Mukherjee releasing a commemorative postage stamp at the presentation ceremony of the President’s Standard and Colours to 119 Helicopter Unit, 28 Equipment Depot, at Air Force Station, Jamnagar, in Gujarat on March 04, 2016. 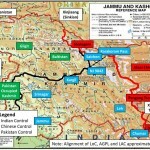 The Chief of the Air Staff, Air Chief Marshal Arup Raha is also seen. 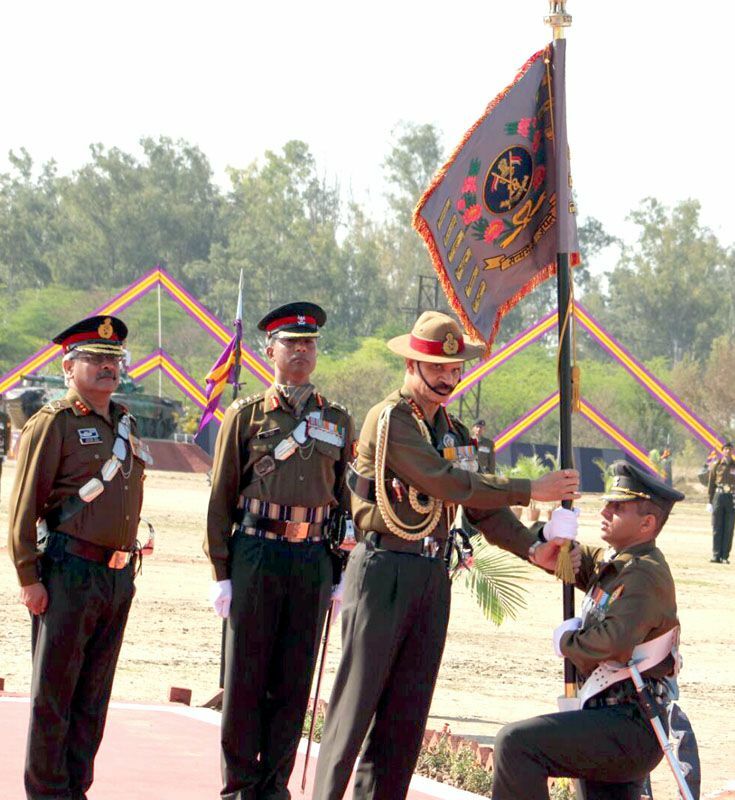 The Chief of Army Staff, General Dalbir Singh presenting the “President’s Colours” to the Corps of Signals of Indian Army, at Jabalpur on February 15, 2016. 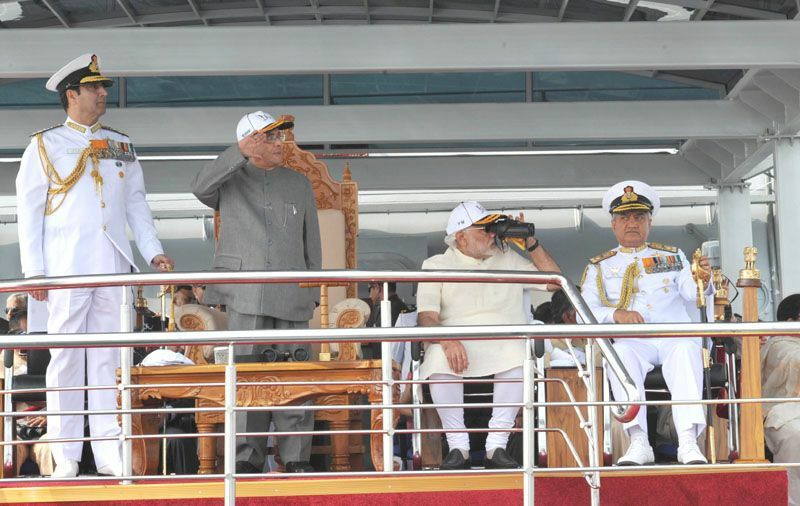 The President Pranab Mukherjee and the Prime Minister Narendra Modi at the aboard INS Sumitra reviews the fleet during at International Fleet Review 2016, Visakhapatnam on February 06, 2016. The Chief of Naval Staff, Admiral R.K. Dhowan is also seen. 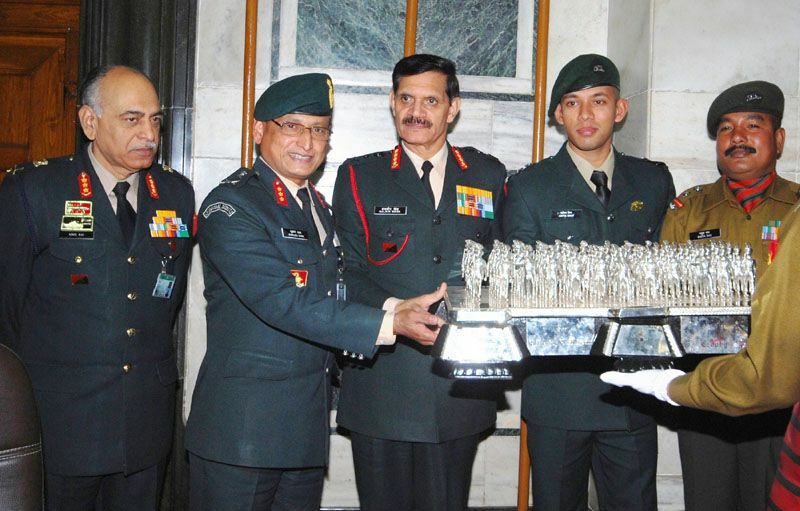 The Chief of Army Staff, General Dalbir Singh giving away the Best Marching Contingent Trophy for Army Day Parade to the Assam Regiment Contingent, in New Delhi on February 01, 2016. The Prime Minister Shri Narendra Modi, today called upon the NCC cadets to dedicate their lives to the nation and the welfare of its people. Addressing cadets from across the country on the occasion of the NCC Rally, the Prime Minister urged NCC cadets to imbibe the good things that they would have observed over the last one month, during their stay in Delhi for the Republic Day celebrations, and also to spread these values, such as cleanliness and patriotism, when they go back to their towns and villages. 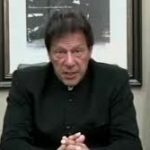 He said the NCC is an institution which connects youth from across the country, and hence contributes towards a sense of unity in the nation. 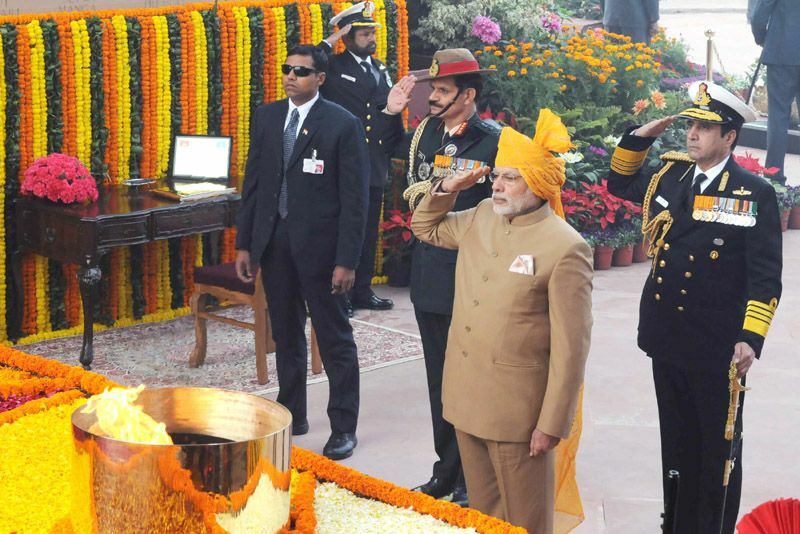 The Prime Minister Narendra Modi paying homage at the Amar Jawan Jyoti, India Gate, on the occasion of the 67th Republic Day Parade 2016, in New Delhi on January 26, 2016. 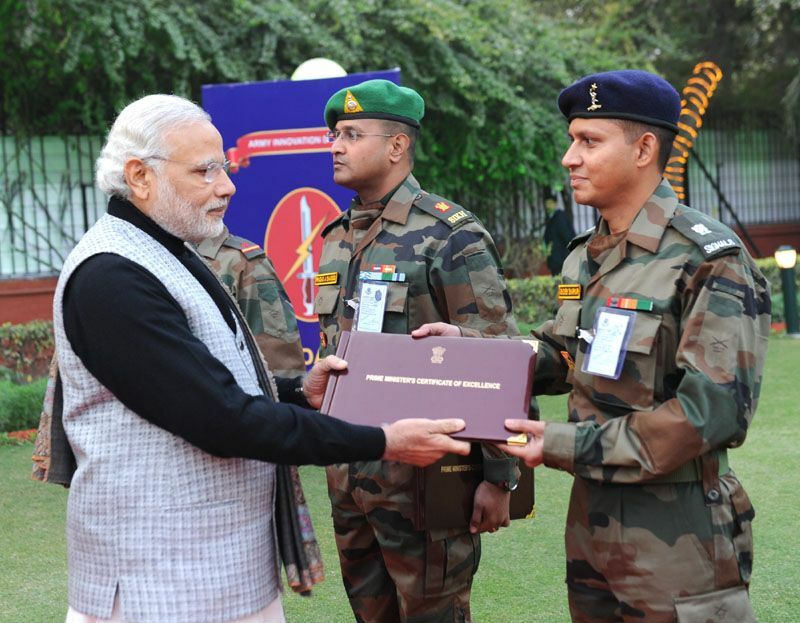 The Prime Minister Narendra Modi presents certificates to innovators in the Indian Army, on the occasion of 68th Army Day, in New Delhi on January 15, 2016. 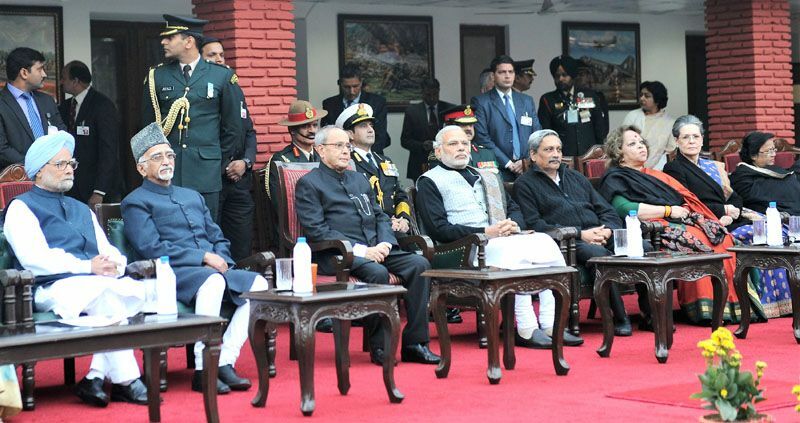 The President Pranab Mukherjee, the Vice President M. Hamid Ansari, the Prime Minister Narendra Modi, the former Prime Minister, Dr. Manmohan Singh, the Union Minister for Defence Manohar Parrikar and other dignitaries, at the "At Home" function, on the occasion of 68th Army Day, in New Delhi on January 15, 2016. 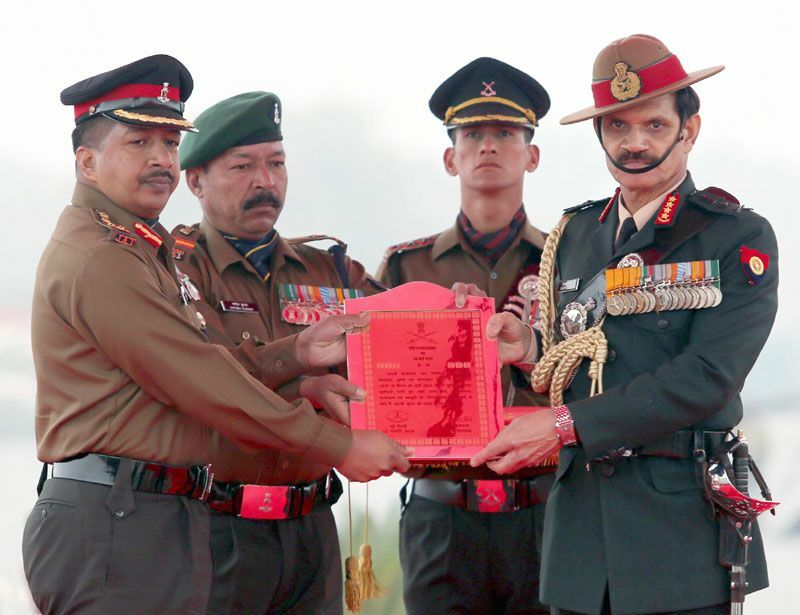 The Chief of Army Staff, General Dalbir Singh presenting Unit Citation during Army Day Parade, on the occasion of 68th Army Day, in New Delhi on January 15, 2016. 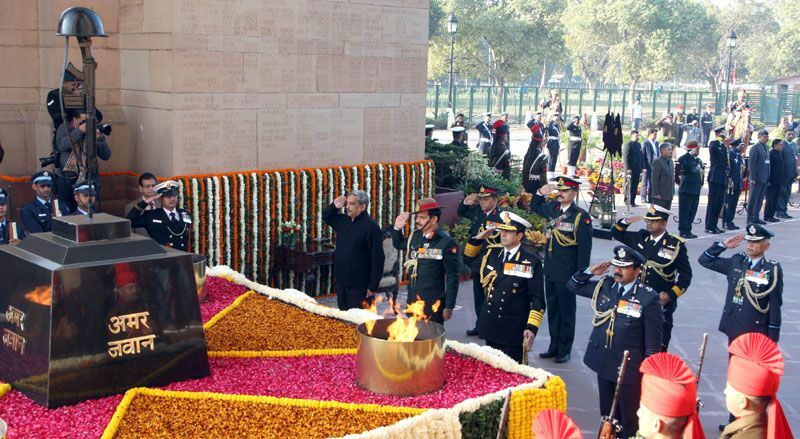 The Union Minister for Defence Manohar Parrikar along with the Chief of Army Staff, General Dalbir Singh, the Chief of Naval Staff, Admiral RK Dhowan and the Chief of the Air Staff, Air Chief Marshal Arup Raha paying homage to the Martyrs of 1971 War, at Amar Jawan Jyoti, India Gate, to mark the ‘Vijay Diwas’, in New Delhi on December 16, 2015. 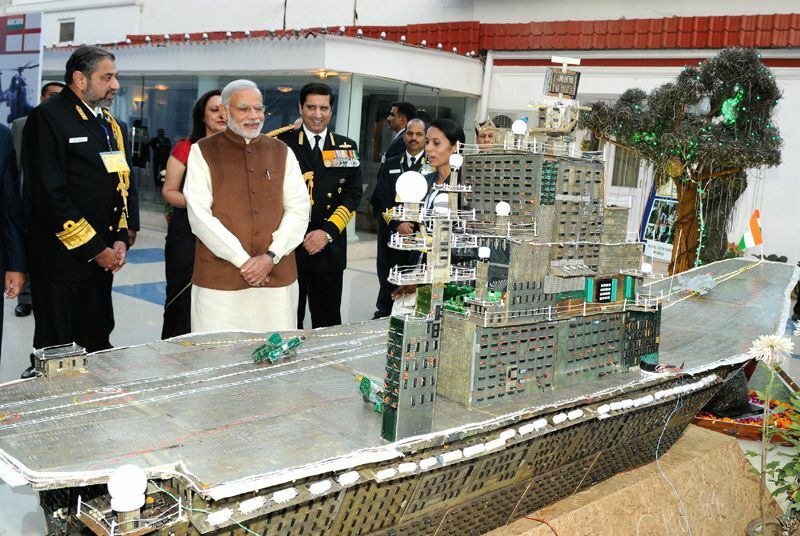 The Prime Minister Narendra Modi during the 'At Home' reception, organised by the Chief of Naval Staff, Admiral RK Dhowan, on the occasion of Navy Day, in New Delhi on December 04, 2015.